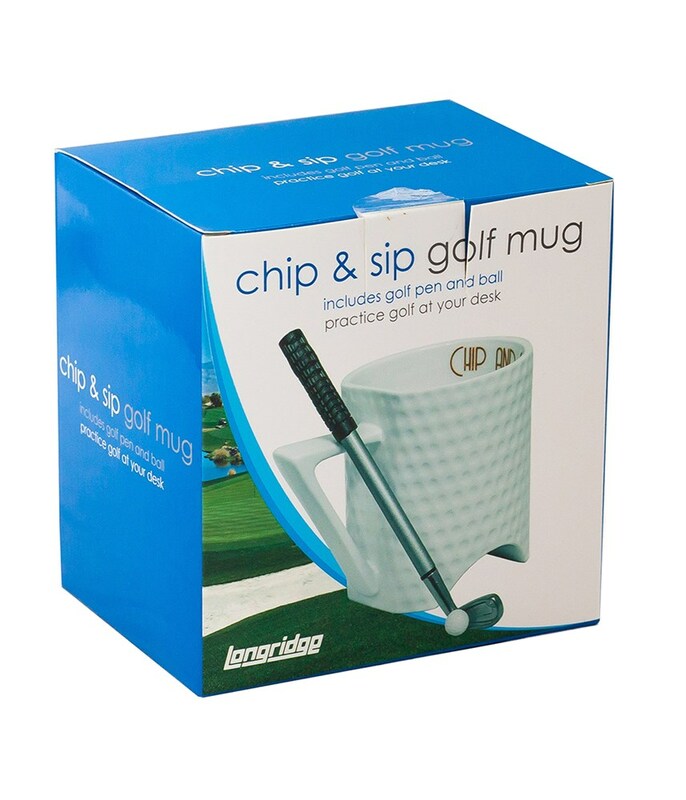 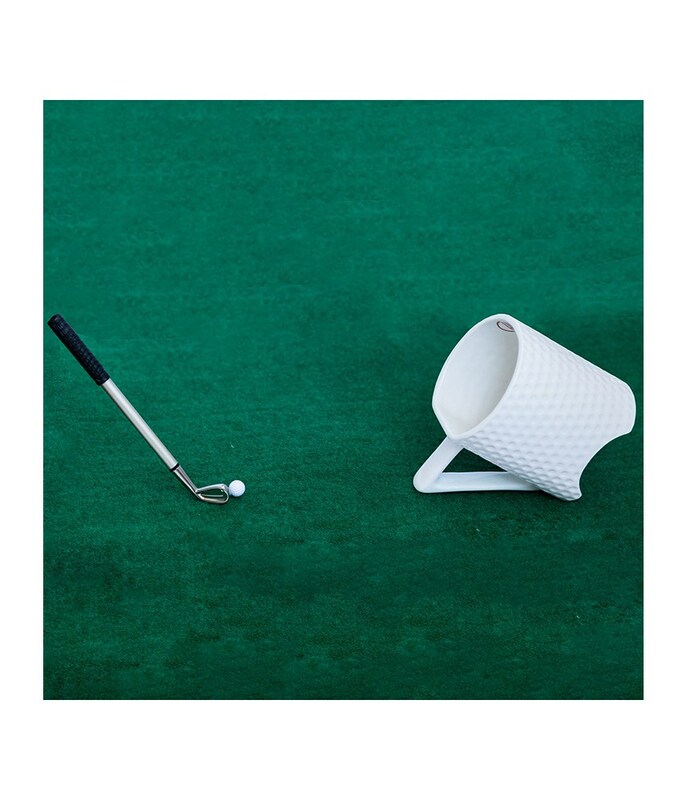 The Golf Mug Chip and Sip Set is the perfect gift for the golfer who is always looking to practice their short game! 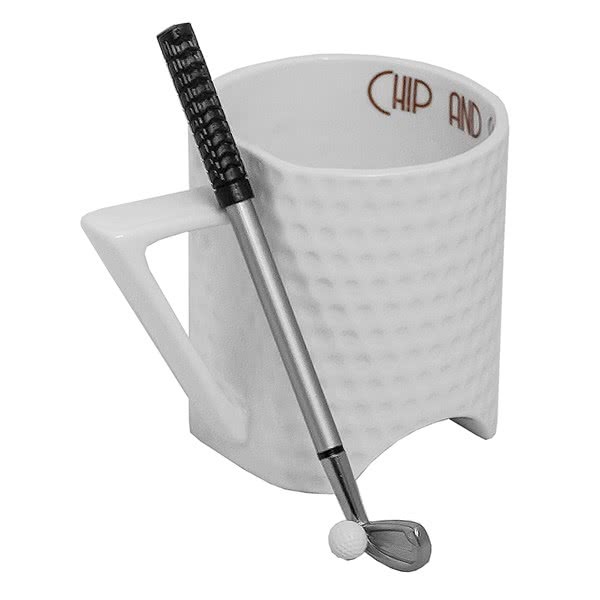 This unique Golf Mug will allow you to enjoy a cup of coffee or tea whilst practicing your short game with its archway design. 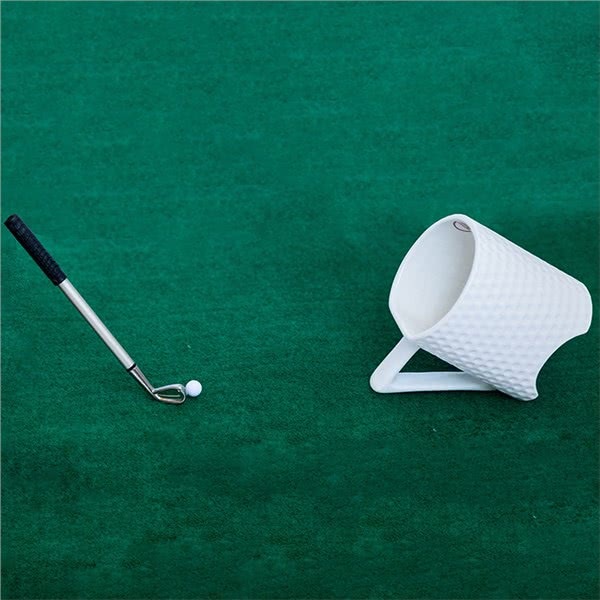 Is there a better way to waste some time at work? 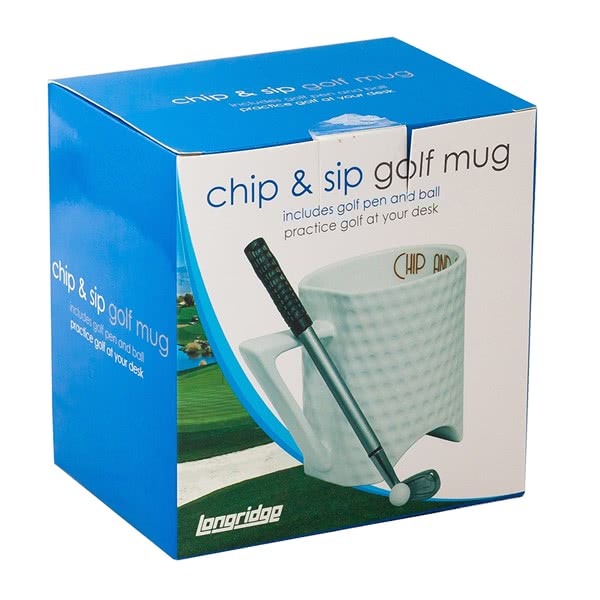 Use the archway to practice your chipping or place the cup on it’s handle and get that ball into the air and land it in the mug. 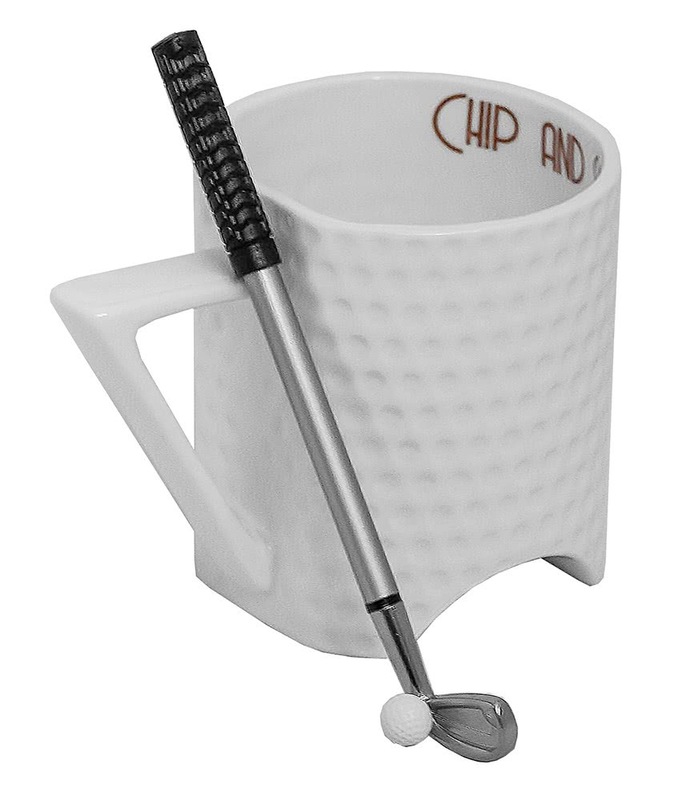 Included in the Chip and Sip Set are the unique golf ball designed mug, mini golf club and a mini golf ball.